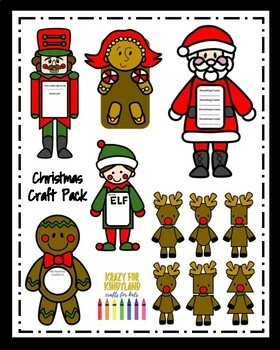 As you your favorite Christmas books this holiday season, create these festive crafts! Who'll Pull Santa's Sleight Tonight? Please see individual product listings in my Teachers Pay Teachers store for specific details about each product. 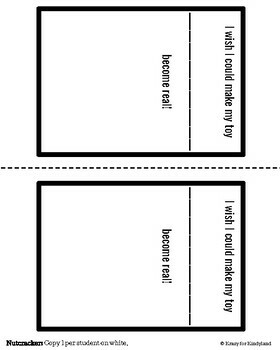 I wish I could make my toy become real! 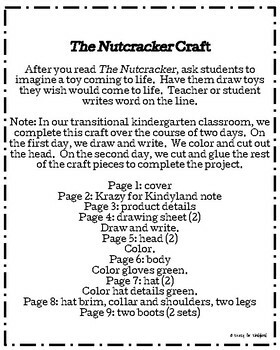 Krazy for Kindyland crafts are created for students ages preschool through third grade. Products are designed with efficiency in mind, as I certainly understand the KrAzY schedule of a teacher! Craft pieces are also designed to use as much paper space as possible, as conservation is another constant thought on the busy teacher’s mind. Depending on the craft, you might choose to slightly enlarge the pieces based on the needs and ages of your students, the time of the school year you complete the craft, and/or your preferences. It is helpful to have students lay out their plan before gluing. Krazy for Kindyland crafts are compiled into value packs, so be sure to check those out before purchasing individual products among the same theme. Follow me by clicking the green star on my TPT store page. This will ensure you do not miss any updates or FREEBIES from Krazy for Kindyland. New products are typically FREE for the first few hours after they are posted, so be sure to check in frequently. (If you did pick up this product for free, you can only leave feedback while the product is still free, so please do so ASAP. Thanks SO much!) You can also follow me on Facebook and Pinterest. Be sure to leave feedback, as you earn credits on Teachers Pay Teachers! This will allow for you to get even more goodies for your classroom full of cuties! 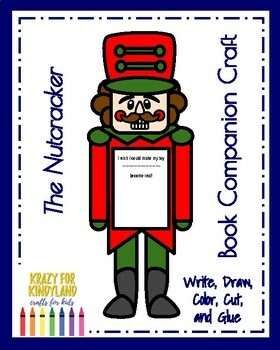 Enjoy a little crafting with Krazy for Kindyland!